My posts have been pretty scant lately, but fear not, genealogy still consumes much of my life. In fact, this has been, by far, the busiest genealogy month I've ever had. 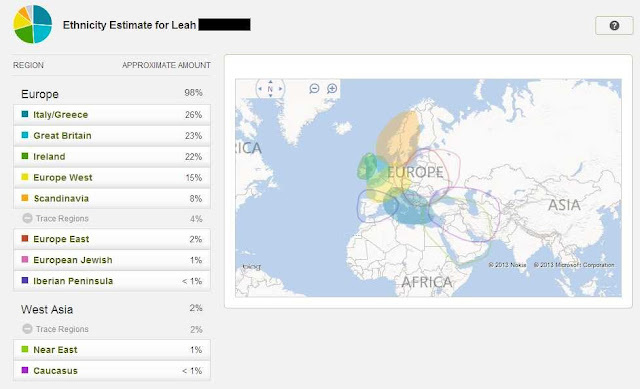 I haven't found any new ancestors, in fact, I've done hardly any research. But I feel like I've accomplished much that I wanted to this month. 1) Made new contacts. I contacted and was contacted by several relatives, one of whom is interested in joining the DAR as well and is willing to eventually (I'm not even going to try tackling it until 2011) collaborate with me on our application under this shared patriot. 2) Got tons of "genealogical accessories." By accessories, I mean the things that aren't vital but are terribly fun like pictures of ancestors, fun tidbits about them and obscure records you never thought would pan out. The pictures alone made this month memorable (in a good way) for me. 3) Got my Mayflower Society worksheets. I sent in my preliminary review form on the 4th of July and things have been moving so quickly ever since then. If you had asked on July 4th if I thought I'd be at this stage by the end of August, I probably would have laughed in your face. Now, I'm thinking that I should (*knock wood*) be done with my application by Halloween, if not sooner. I need 11 birth, death and marriage certificates to complete my application. I ordered five and they are currently being process and when my mother goes to visit family next week she'll, hopefully be able to collect another four. Of the two remaining, I am waiting on a relative for a copy but if he can't find it soon I can go ahead and order it easily enough. The other will be a bit more challenging. I've already put in my order for it, of sorts, because it will be at least mid-October before I'll get it. 4) Cleaned up my trees! I've sourced and re-evaluated many ancestors. The main target of this are my 17th Century ancestors. I added most of them in a hurry a very long time ago (with minimal sourcing) when I was first starting in genealogy. I then promptly forgot about them and have concentrated on more recent ancestors in the subsequent years. I credit the work I've had to do for the Mayflower Society application as the spark I needed to get me to tackle them. 5) Increased my genealogy library. I've never been a big fan of genealogy books. I find my questions are usually too specific to be covered in books which are generally very broad, even if they are on a concentrated subject. I have, however, been turning to publications more and more for inspiration and as a means to jump start my research. I haven't ordered too many books, but I have filled out my wish list pretty well and did purchase the main book I had been wanting for a very long time. Next month, I will be purchasing another genealogy book that I have been pining after for a long time. My hope is to get a new book on my list once every two or three months, as long as it is in keeping with my "genea-budget." 6) Worked on my grandmother's family. Of all the branches in my family tree that gets the most neglect, it would be my paternal grandmother's. The language barrier is the main thing (I don't speak much Italian) that has kept me from researching her family. But this is an entire quarter of my family tree that I have hardly touched in my 10+ years of researching my family tree and that is unacceptable. You have been busy! I'm impressed - and inspired. I need to go back and "re-evaluate" ancestors I quit working on. You really accomplished alot! Sometimes we get so involved with researching that we don't get around to all the other genealogy tasks that need doing. Congrats on your successes!